After erasing The Wizard of Oz from my list of films I was ashamed to have never seen, I decided to move right into another one: Lawrence of Arabia. I'm almost overwhelmed by how brilliant a picture this is. So I had a rough weekend. This isn't meant to elicit compassion or well wishes, I'm not on my death bed or anything, but it started with a trip to the emergency room after an infection spread through the entire left side of my face like something out of a horror film. The positive side of this is that for three straight days I have barely moved and essentially watched movies constantly, which is something I always love to do. The negative side, well, that's pretty obvious. Pain and poppin' pills, sweating and swelling, it hasn't been pretty, but this morning I could tell the meds were doing their trick and I decided to take on the daunting task of a nearly four hour film. It sounds silly, but sometimes you can assume something for so long that it almost feels like a fact without the proof to back it up. I have always associated this extremely long classic epic with the word "boring", because of course my mind would have to wander here and there when trying to consume such a massive narrative. Of course I would need to take breaks while watching to avoid the frustration of the super serious, dialogue heavy drag of a work like this. Only the narrative never felt massive. The film never felt dialogue heavy. The film never dragged. Lawrence of Arabia was never boring, not for a moment. 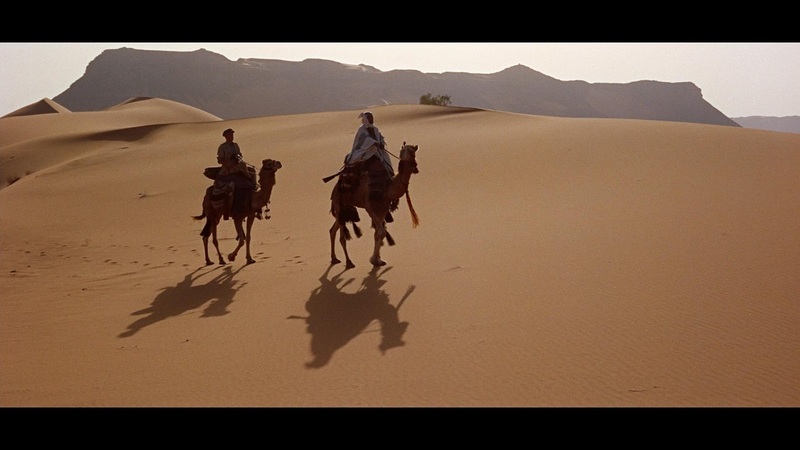 In fact let me go all the way to the top floor with this one: Lawrence of Arabia is cinematic perfection. This is the film that defines the word epic. This is the film that defines the word ambitious. This is a film that defines the word masterpiece. With the few works from David Lean's filmography I have previously seen, I already knew the man was a talented director, but nothing could have prepared me for what I was in store for here. I have read that this served as an inspiration for many filmmakers since and I can understand why. Lawrence of Arabia feels like a one time miracle, something that could never be duplicated, an achievement unlike any other. The piercing blue eyes of star Peter O'Toole, the never ending sea of sand that is both beautiful and terrifying, the pulverizing brightness of an unrelenting sun, everything about this film is unforgettable. The reason I even mentioned my rough, gross, infection filled weekend is this: Lawrence of Arabia is exactly what I needed at a time like this. For days I have been a bit down, often times stressed out, and wishing for normalcy. For the nearly four hours that I got to soak in the glow of the spectacle of this stunning, perfect work, I didn't worry about a thing. 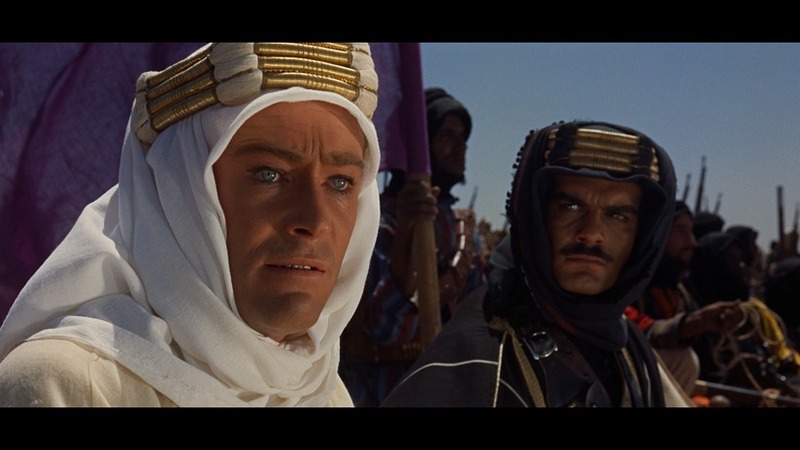 I worried Lawrence of Arabia would drag, that its length would result in periods of boredom. I would do it all again tomorrow if I had the time.